This page contains Image Capture Software and Resources. With Debut Video Capture Software you can record video from a webcam, recording device or screen. Capturing video files on your Mac or PC with this video recorder software is easy. Record and capture video from almost any source – even VHS tapes. And unlike other recording software, you can utilize key pre-production features like video color, resolution, and output settings. Capture video directly to your hard drive. Record video in many video file formats including avi, wmv, flv, mpg, 3gp, mp4, mov and more. Capture video from a webcam, network IP camera or a video input device (e.g., VHS recorder). Screen capture software records the entire screen, a single window or any selected portion. Digital zoom with the mouse scroll wheel, and drag to scroll the recording window. Zoom-to-mouse feature focuses the recording window on the cursor. Mouse highlighting spotlights the location of the cursor. Record video alone or video and audio simultaneously. Record audio from your microphone and speakers simultaneously, ideal for recording video conferences. Time lapse video recording. Create photo snapshots of a video at any time. Add your own text captions or time stamp your video. Change color settings and video effects before. recording. Adjust the video resolution, size and frame rate for capture. Ability to burn directly to DVD with Express Burn Disc Burner. Works with BroadCam Video Broadcast Software to stream over the internet. Debut lets you add captions to your video recordings and choose the size and frame rate used to capture your video. Debut also lets you create either 4:3 or 16:9 videos. This flexibility makes Debut perfect for people creating videos for many different outputs (e.g., YouTube, CD or television). When you adjust the color settings and effects of your streaming video the results can be seen instantly in the main window and captured when you hit record. Download Debut today and start building your video content library. 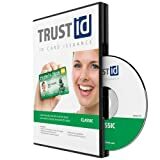 This product download includes a product activation code that should be used to activate your software at http://www.nch.com.au/activate/index.html. This product activation and registration must be done in order for your product to be permanently licensed for use – registration is completed using the File>Register option within the product interface. To take advantage of the included Platinum technical support and 2 year product upgrade warranty for Amazon customers only, please visit http://www.nchsoftware.com/support/amazonsupport.html. No design or database knowledge required With TrustID, you won't spend all day designing badges. Drag and drop to build, no complex menus or training required. Integrated backgrounds and dynamic objects let you reproduce a card in seconds, or create one that's all your own. Create dynamic QR codes and barcodes Full barcode support comes as standard with every edition. TrustID dynamically generates more than 60 types of barcodes including QR codes, Code 39 and UPC. All versions of TrustID can import CSV format database files. To import your MicrosoftTM Excel or other spreadsheet file, first save each sheet in .csv format. iLife ’06 is the next generation of Apple’s award-winning digital lifestyle suite. It features iPhoto 6 with blazing performance and new Photocasting; iMovie HD 6 with new movie themes for adding spectacular motion graphics to movies; iDVD 6 for authoring custom DVDs for today’s widescreen TVs; and GarageBand 3, the complete solution for creating professional-sounding podcasts. iLife ’06 also introduces iWeb, an innovative new application that makes it easy to create amazing websites with photos, blogs, and podcasts and publish them on the Internet with a single click using .Mac. Now more than ever, it’s clear that the Mac is the ultimate platform for the digital lifestyle. YouCam 6 Standard provides all the WebCam and Camera tools needed for work and play. You can add various fun video effects when having IM chat or record video with your webcam. This is the BEST collection of dolphin clipart you will find on the web! WE AREN'T JUST TALKING OUT OUR BLOW HOLE! THIS IS THE ONLY COLLECTION OF IT'S KIND! WITH OVER 460 WAVE MAKING GRAPHICS YOU WILL HAVE AN ARRAY OF DOLPHINS THE OCEAN WOULD BE JEALOUS OF. WATCH THE GIRLS DIVE TO YOUR BOOTH FOR THESE ONE OF A KIND DESIGNS! The images in this collection are all BRAND NEW ORIGINAL and do not second images from other collections. Their artists are experienced in the design of thousands upon thousands of graphics and their professionalism and attention to detail is evident in every design. VECTOR GRAPHICS ARE IDEAL FOR: APPAREL DESIGNS, BANNERS, DECALS, DIGITAL PRINTING, EMBROIDERY, LOGOS, SCREEN PRINTING, SIGNS, VEHICLE GRAPHICS, VINYL CUTTING, TATTOO'S, MASCOTS, AND VARIOUS OTHER APPLICATIONS. Take ultimate control over your photos with the powerful photo editing tools including red-eye correction, creative crop shapes, artistic effects and more! Easily import your personal photos from your digital camera, scanner or CD-ROM to incorporate them into any project. It’s time to bring your projects to life! Print Workshop helps preserve your family’s memories in style with all the tools you need to design and publish professional business materials, creative projects, web pages and more. Easy-to-use and apply 50,000 clip art and images! Print Perfect Clip Art 50,000 lets you find the perfect image for any presentation. 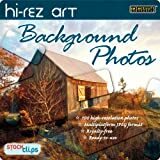 Create, design & impress with this amazing collection of quality, professionally drawn and photographed images. It's easy to install and great for home or office use. A powerful Media Browser makes searching for just the right image easy, whether it's a photo, vector art or raster clip art image. Let your creativity run wild by adding interest to your printable projects. All Family Friendly games! Incredible graphics! All on one DVD! Featuring high-resolution, professionally photographed images, this unique collection contains 100 striking photos in an easy-to-use format. Plus, it all comes at a fraction of the $200+ price for comparable collections. Automatically create JPEG thumbnail previews of all your images. Create slide shows of your favorite images for family, friends, or colleagues.